KATHMANDU: Shrawan is considered as the green month of the year. Especially the religious persons throughout the country visit the temples of Lord Shiva in this month. Women get particularly excited for celebrating the holy month as they love to adorn themselves in their favorite accessories and colorful clothes. With the arrival of Shrawan, green is ruling not only the nature but also the wrists of Nepalese Hindu women. Both the married and unmarried women load their hands with red, green and yellow bangles and decorate their palms with beautiful designs of Mehendi/henna tattoos. The married women wear green bangles and beautify their palms with mehendi for the prosperity and welfare of the family while unmarried girls put it as a prayer for their happiness and a life as colorful and deep as the Mehendi itself. Nepal itself is a religious country; during 2017 around 940,000 tourists had arrived in which 141,000 of them were religious tourists. By this statistics we can know the importance of the religious destinations. We can observe the pilgrims of Shiva especially in the month of Shrawan. Following are the mostly visited religious destinations visited in this month. 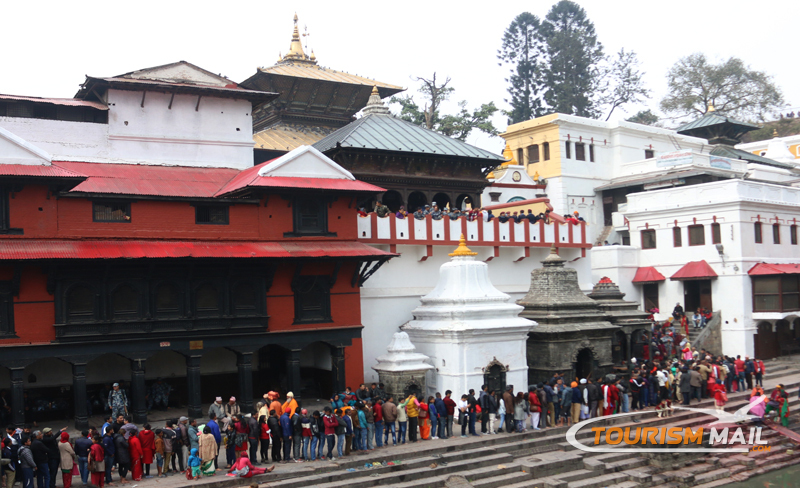 Pashupatinath is the main worshipping centre for Hindu devotees. 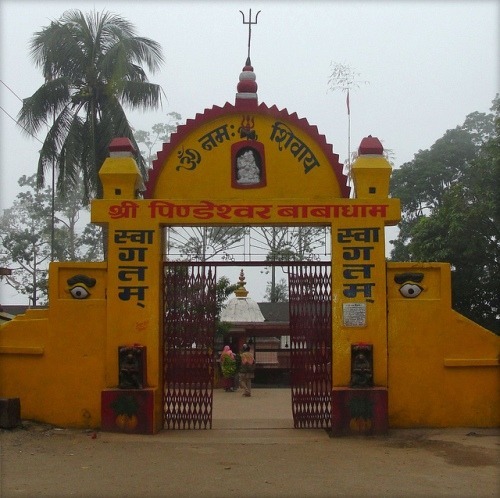 This place is regarded as the free space for worshipping Lord Shiva every day. Most of the visitors visiting Nepal go to this temple. The temple remains mostly crowded on Mondays as it is regarded as the special day for worshipping Lord Shiva. Many Hindu women observe fast in this day and worship in this temple. 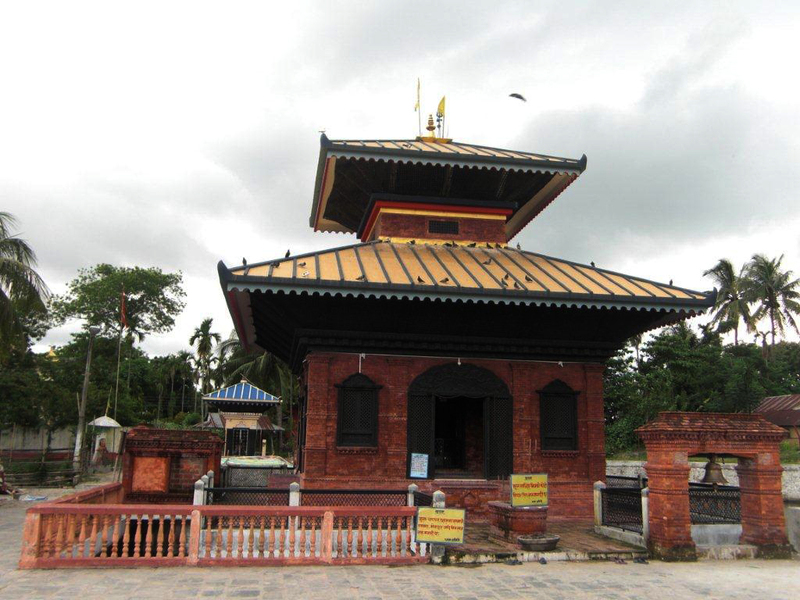 Santaneshwor Mahadev Temple is one of the famous Hindu religious places located to the south-east of Kathmandu valley. It is situated at the border of Jharuwarasi VDC. It takes approximately 1 hour drive (about 11km) from Lagankhel. Huge masses of Hindu followers can be seen in the special occasions of Ekadashi, Mahashivaratri, Teej, Bada Dashain and other Hindu festivals. The temple remains crowded especially on Monday and Saturday. Pindeshwor Temple is situated in Bijaypur of Dharan Municipality; Throughout the month of Shrawan, the temple remains crowded. Especially during the Bolbam festival, the devotees offer the water of Saptakoshi in this temple. Millions of devotees visit this temple to offer the holy water from different parts of the country. Reshunga is regarded as one of the famous religious destinations. Fare is organized in this month every year. Hindu and Buddhist devotees worship Haleshi Mahadev in this temple. There are 3 caves situated in this region which is considered as the three eyes of Lord Shiva. The mysterious construction of this temple makes it more popular. We can reach this temple by both airways and roadways. 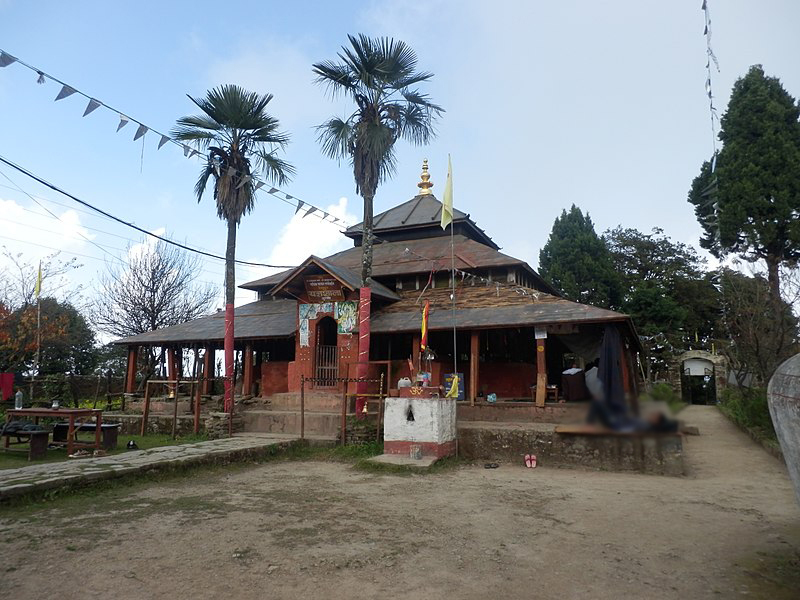 The Haleshi Mahadev Temple is a sacred temple situated in Khotang district of Nepal. It is believed that this cave has been used by Lord Shiva to hide from the demon Bhasmasur for 6000 years. The location of this cave is between the holy rivers of Dudh Koshi and Sun Koshi. Hindu people of India also visit here climbing many hills. This place is usually cold and rainy. Nowadays it is also accessible by bikes. Many people come here in the month of Shrawan to pray to Haleshi Mahadev from Ladania, Jayanagar etc. 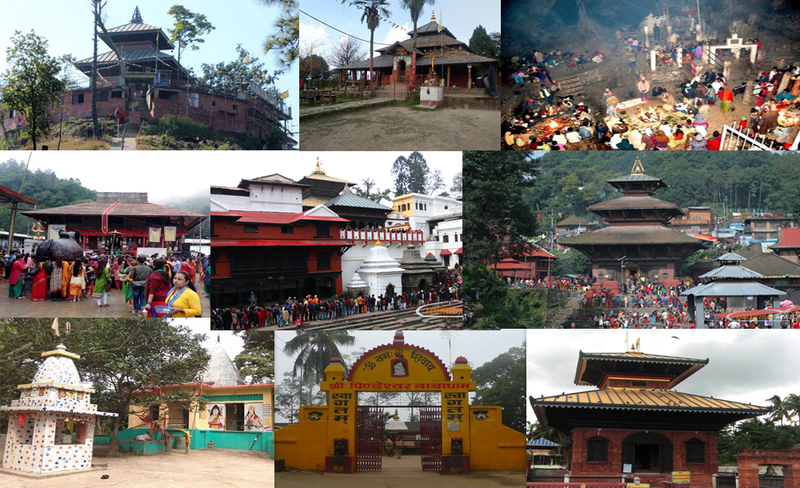 Arjun Dhara Dhan situated in Sani-Arjun Municipality of Jhapa is known as the Pashupatinath of Eastern region. During Balachaturdashi and Shrawan fare is organized. 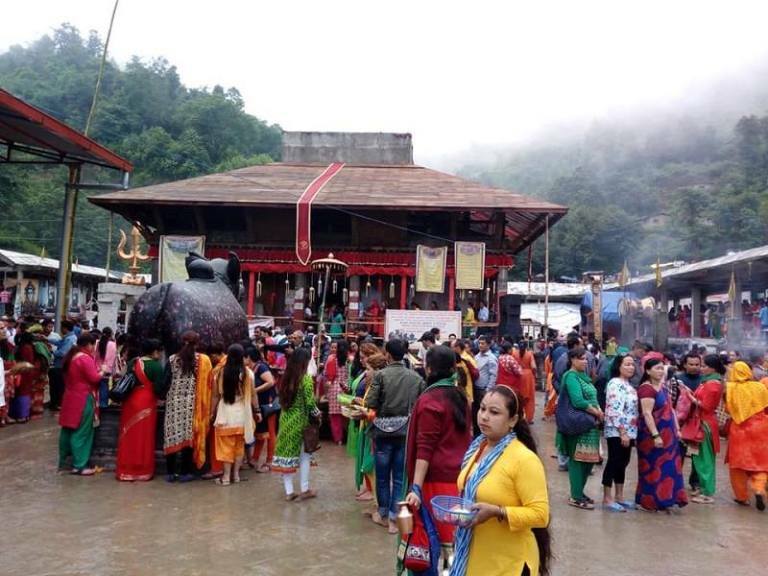 Thousands of devotees from different parts of the country visit this temple. Cold water runs from the tap of the temple every time so it is known as the Arjundhara Temple. Doleshwor is considered as the part of India’s most famous religious destination, Kedarnath Temple. Doleshwor Temple is considered as the Head of Kedarnath Temple. 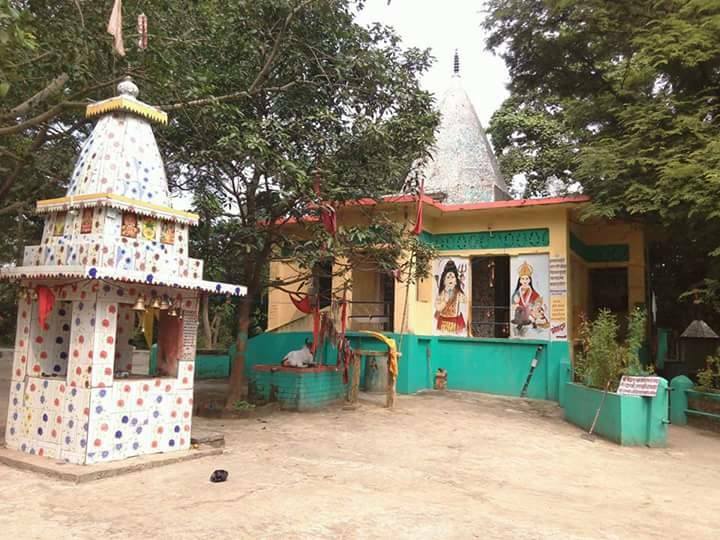 It is considered as the most preferred destinations for the devotees of lord Shiva and within the month of Shrawan many people visits this temple. We can easily reach there with the help of public vehicles or private vehicles. 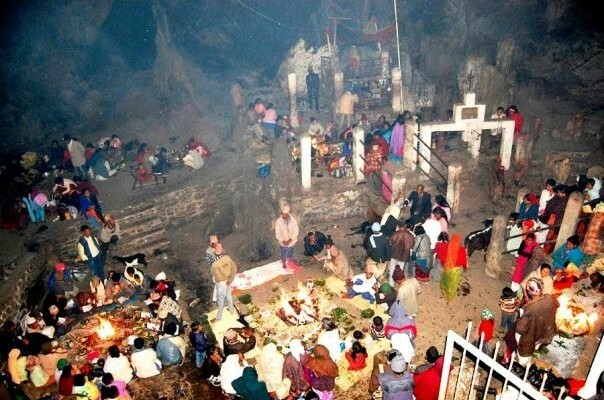 Behadababa temple is famous for the Ganga- Dashahara fare organized in the Far west side. This temple is situated in Dhandgadi which is near Indian border so many visitors from India side visits this temple. It is believed that the statue of Shivalinga is created itself by the nature. This temple is situated 10 Km away from Dhangadu so people can easily reach there through the road transportation. 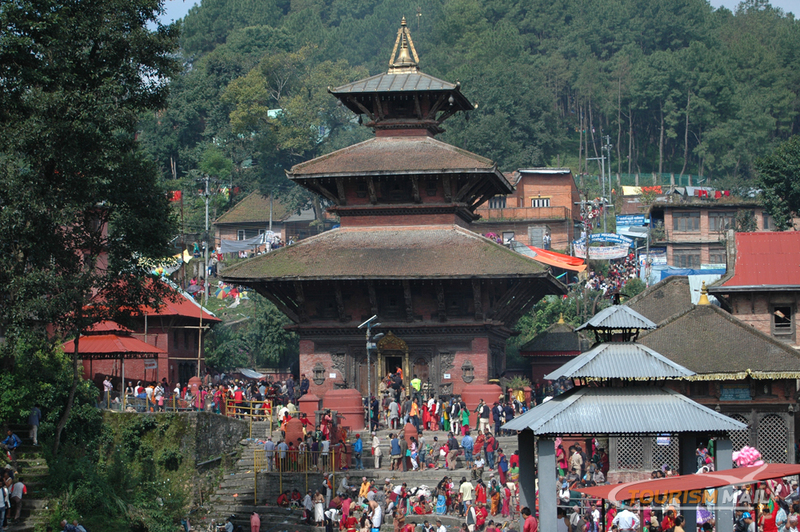 Gokarneshwor Temple is one of the famous temples for worshipping Lord Shiva. It is situated on the bank of Bagmati river. 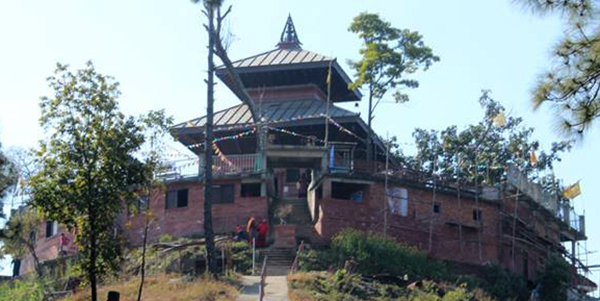 The temple is an easy 5 km trip from Bodhnath on the road to Sundarijal. We can easily reach there by bus. Thousands of people visit this temple every year in the month of Shrawan.